It’s 6.30 a.m. on a rare rainy autumn morning in Arles sur Tech. Despite the 1 a.m start involved in the preparation of the famous Catalan Rousquille, Eric Touron greets me with a warm smile. Eric and his sister are the fifth generation of Tourons to handcraft tasty and authentic Catalan patisserie specialities. They live and work in the same village shop and house in which their ancestors lived and worked nearly 200 years ago. 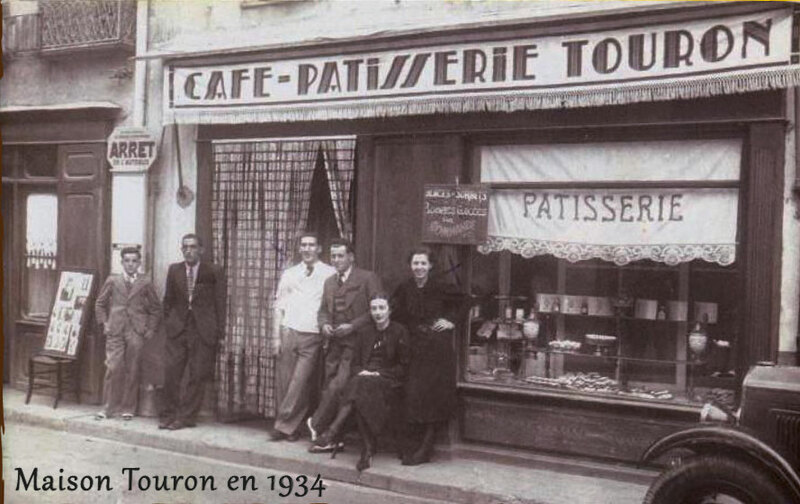 The Touron Saga began in the 1850s when great, great, great grandfather Mathias Touron opened up the family home as a restaurant. Called up to serve in the Crimean War, his catering experience earned him a place in the service of Queen Victoria, and he returned to Arles sur Tech with a silver tea service and the grateful thanks of the Queen herself. At this time, Arles-sur-Tech was a lively, bustling, working village with a population of around 2,400, not so far off the 2,700 of today, and probably much busier. 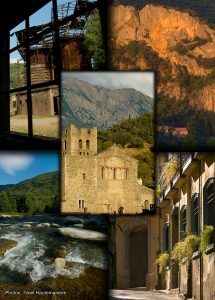 There was a direct train line from Perpignan to Arles, St Laurent and Prats de Mollo, transporting goods from the village’s three main industries, iron mining, weaving….and chocolate! In fact, did you know that the first real chocolate factory in France was created in 1814 in Arles-sur-Tech? And another first. Arles was one of the first villages in France to produce and use its own electricity. The Touron family house now became a restaurant, hotel and patisserie. Restaurant and hotel closed when Eric’s grandfather decided to put all his energy into his passion for baking, coming up with a unique and delightful recipe for the rousquille, a much talked of family secret to this day. 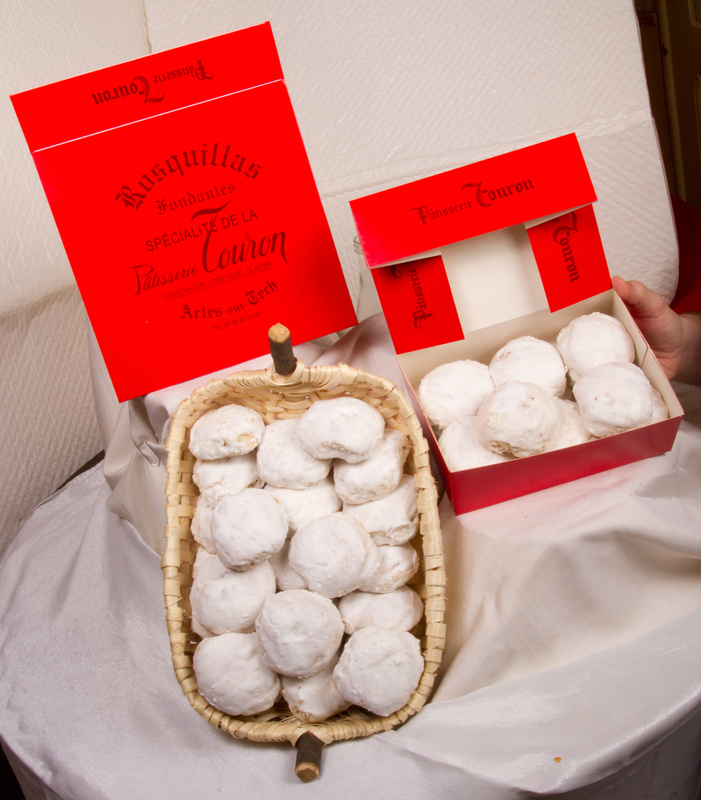 You may have tasted rousquilles from the local supermarket and found them over sweet, dry and crumbly….Mais non! C’est pas ça! 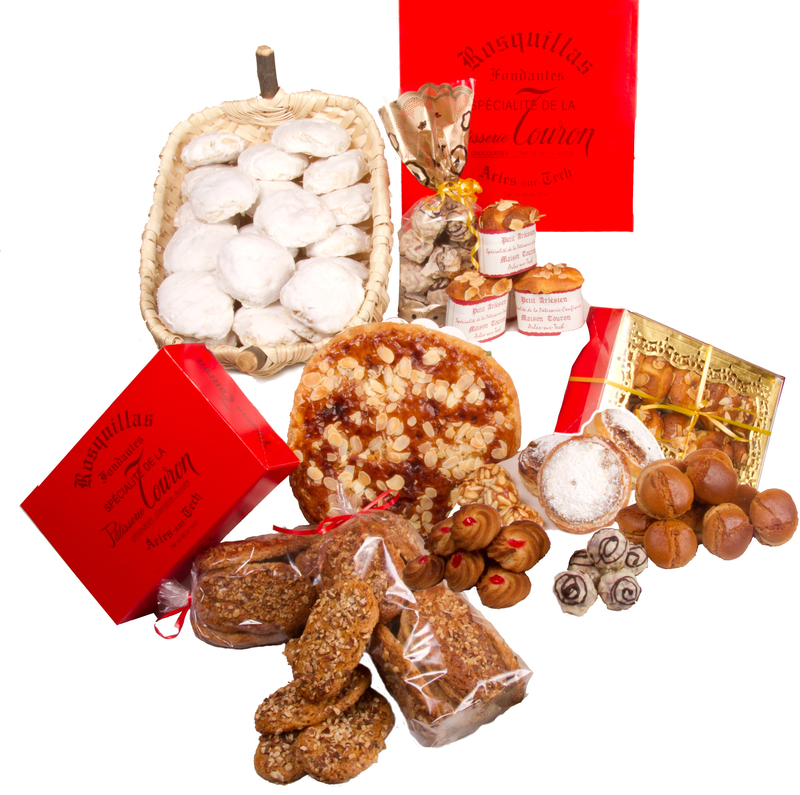 For the authentic Catalan experience, (and for some great traditional regional pressies) head up to Arles sur Tech to the Touron bakery, meet the family, and have a taste of the real thing! 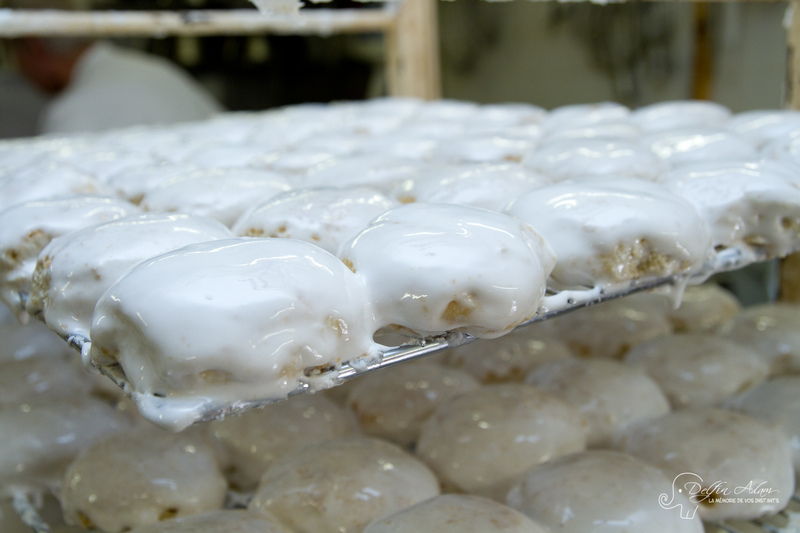 The word rousquille comes from the Spanish word ‘rosquilla’ meaning ‘little wheel’. Traditionally flavoured with aniseed and orange blossom, this medieval speciality started off with a biscuit texture, but has been developed over the years to become more of a cake than a biscuit. They are very much a speciality of the Vallespir villages, and the addition of the sweet meringue glaze was actually the invention of Amélie-Les-Bains baker, Robert Seguela in 1810, to keep the rousquille moist inside. Poured on and smoothed over by hand in artisan bakeries, the glaze fills up the hole in the middle. The rousquille rings used to be fried on long thin sticks called ‘rosquillare’ that street vendors carried on their shoulders, and sold in the streets at fairs and markets, or held up to windows for people to reach down and help themselves. Traditionally accompanied by Muscat, Banyuls or any Roussillon dessert wine, they also go down rather well with a cup of tea! 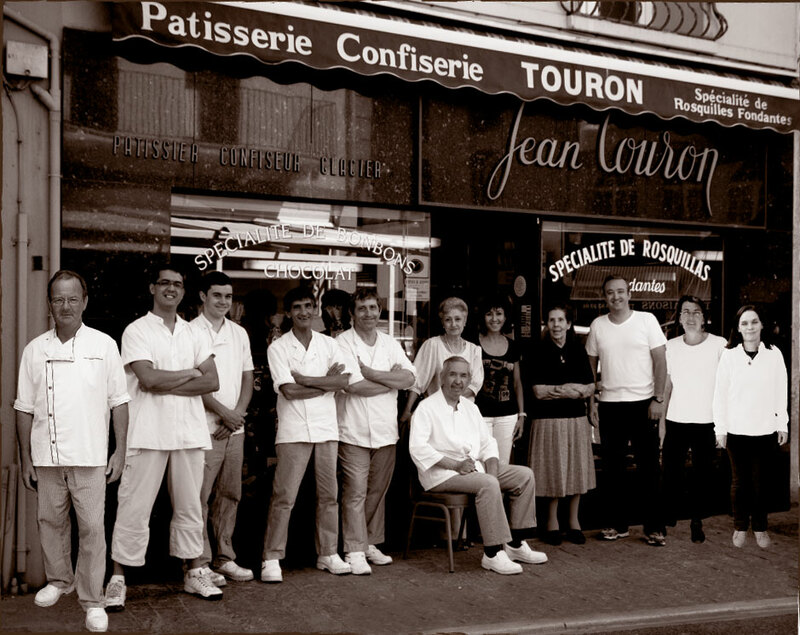 Not surprisingly, the Touron family also make and sell Touron, a type of nougat of Moorish origins, typically made of honey, sugar, and egg white, with toasted almonds or other nuts, with many variations. It is eaten particularly at Christmas in Catalonia, but equally delicious all year round.